After an eleven year break from making quilts in 2003 I decided to get my box of scraps out and start a quilt. As I looked through the patterns I had collected I kept coming upon tumbling block patterns, so that is what I decided to make. 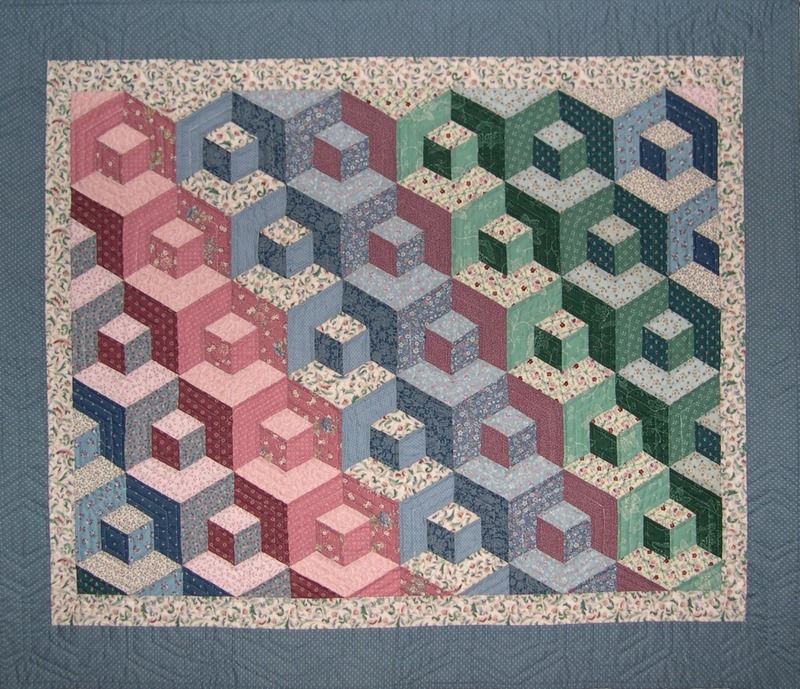 This particular pattern is a variation of the usual tumbling blocks. Take a look at the quilt on the right. First you make the 3-sided block. 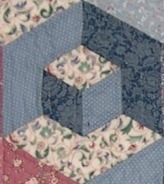 Then you border the block with three V-shaped pieces which form the walls and floor that the small block "sits against". The special treat you get when you include this border is that quilt takes on a whole new look when it is turned upside down as you can see by the picture on the left above. 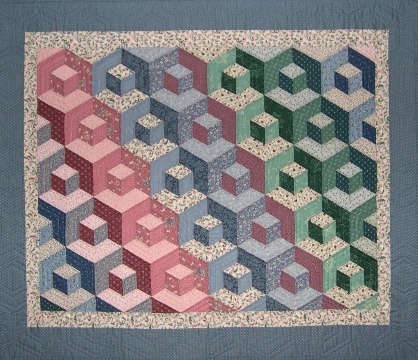 Be aware: to make an effective tumbling block quilt, you should pay attention to the placement of lights, mediums, and darks. Where you put them is up to you, but be consistent so you get the 3-D effect. This 38" x 44" wallhanging was hand pieced and quilted. For those who don't do hand piecing there is a strip piecing method and a paper piecing method. 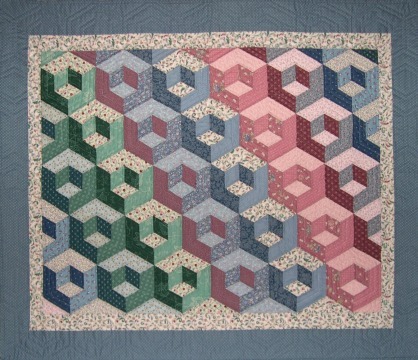 Both these methods will give you the rows of blocks without the extra "walls" as in my quilt. I think either pattern is interesting to look at.